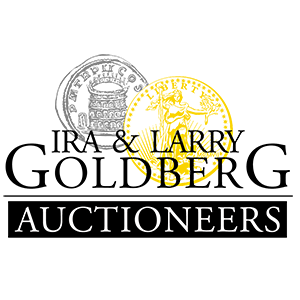 Ira and Larry Goldberg are experts in the Numismatic field with over 50 years of experience. In 2010, they were each awarded a Lifetime Achievement for their contributions to the Numismatic Community. Over the last three decades, they have helped people build world-class collections which have realized record-breaking prices. Click the image below to read more about Ira and Larry Goldberg.